*Authorized Dealer of Andersen Windows & Doors* Moeller & Walter is a full service building design and materials retail store. We offer a full line of all materials needed from the top of concrete to finish for new homes and remodels. Founded in 1876- We are the oldest privately owned company in Grundy County, Iowa. In our early days, Moeller & Walter was one of 3 lumberyards in Reinbeck, Iowa, a town of about 2,000 people. There were numerous changes of ownership and today we are the one yard that has survived the years. In recent history, Lynn Trask purchased the business from Paul Tschirgi and Bill Lowe in 1985. At that time it was a 3 employee company. Ron Petersen replaced one of those employees in 1986. The company had a gradual and steady growth during the 1990's, and in 1999 Ron Petersen moved from employee to partner. We have experienced steady growth since that time and we now have a great staff of 19 employees. 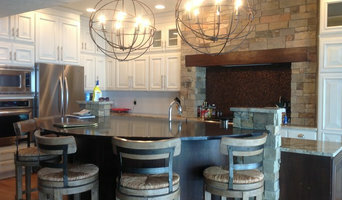 Kitchen Concepts, Inc. is located in Newton, IA. Our mission is to provide the best plans, products and customer service to our clients. We take pride in providing only quality products and unique designs. The design philosophy is to design "outside of the box". Anyone can fill space, but it takes a good designer to use form, texture, color and balance along with function. A good design should show "personality" and energy. We have a custom approach of adapting designs whether it is kitchen, office, bathroom, bedroom, or entertainment. Not just kitchens! Our showroom is temporary closed and will reopen beginning the first of the year, 2019. All photographs on this website are representations of original Kitchen Concepts designs and products. Whether you need vinyl siding or a whole new custom home built, our licensed and insured pros are up for your task. If you need design help, we offer that too. Count on your outdoor home improvements to be a joy lasting many years. Call us for your FREE estimate today! If you have made the economical decision to stay in place rather than move, make the most of it with a GREAT remodel. Only trust a licensed, bonded, and insured contractor with this exacting work. It's too much for a DIY home-improvement project! We are up to your challenge, and will help with design if you need it. Interior Design service, specializing in residential design but have had experience in commercial design as well. Full kitchen and bath design, space planning, decor. Contact me for your design needs. 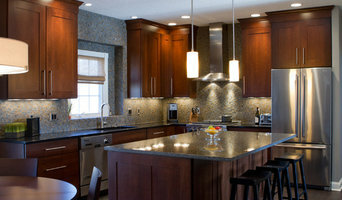 Remodeling contractor specializing in bath and kitchen remodels. 40 years experience in the building material industry, specializing in windows, doors, cabinets, trim and stairways. *Authorized Mendota Hearth Dealer* Rabe Hardware is a family owned and locally operated company that has been serving residential and commercial customers in Central Iowa since 1979. 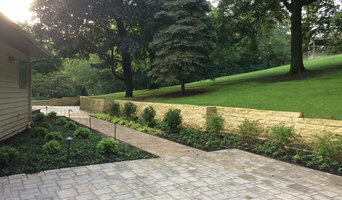 For two generations, Rabe Hardware has striven to provide geothermal, plumbing, electrical, heating and air conditioning services that exceed expectations. Professionally trained technicians and installers, customer service and honest, hard work are the reasons our customers continue to call Rabe Hardware for their home comfort needs. Rabe Hardware is "Your Home Comfort Headquarters"
We manufacture one of the MOST HEAT & SCRATCH RESISTANT countertops as well as waterproof, moldproof wall or shower panels. You, a local contractor or our partnered installers will make your project look amazing with Creasion. Our countertops are also the easiest to install because they are stronger, do not crack, yet lighter than all other types of counters due to how we make them. We've basically created a hybrid that looks and feels high-end but costs less. There are too many benefits to list but you can watch our video at creasionnetwork.com Solid surface products we build and pour vary from $30-$80 per sq ft. Every customer we have shown our countertop samples to has said the same thing..."I thought that was real, heavy stone!". Now being the MOST HEAT & SCRATCH RESISTANT of all types of countertops with less cost and less weight, repairable, customizable, option of embedded HDPE hot spots and we can save you a ton of money if you want us to repour a new look over them in 5-10 years. We've also taken the pledge for zero tolerance on disrespect in the service industry. If you see a bad review, it's because they were TOO dishonest and/or disrespectful to our staff. You will get the same level of courtesy that you give our staff. We thank you for understanding and making business a better place for ALL! Message us for details. Strand’s is a family owned and operated business in Marshalltown, IA that sells a full line of decorating products which include: Pittsburgh paints & stains, Benjamin Moore paint, sundries, Mohawk carpet and hard surface floor coverings, window treatments, fabrics, wallpaper and custom decorating services. We are proud to have again been voted Best-of-the-Best. Strand’s also has a thriving commercial business, selling specialty paints and coatings to local contractors and industries around the world. Carter Strand, N.A.C.E. certified inspector, has inspected many marine paint projects for the federal government. 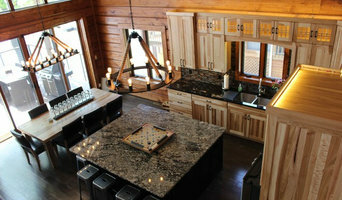 *Authorized Woodharbor Cabinetry Dealer* At Iowa Kitchen Co. we believe the kitchen is the heart of the home! Our dream is to guide you through the design process to ensure you create a truly functional space with a design that is uniquely you. Stop in & explore the possibilities! Whether you're looking to build a new home, to complete an addition on your existing home, to service your septic tank, or anything in between, our crew is ready for you. Plumb's Construction LLC is proud to offer you all of the construction services necessary to get your job done right. At Staging 2 Sell It, our goal is to stage your home and create style that invites offers from buyers. We make the process easy and enjoyable for you. We are a full-service design company with a wide range of experience. We can help you with all phases of staging, design, painting, decluttering, and organizing your space. Reach out to multiple professionals — especially for larger projects — and don't settle for the first bid you hear. Comparing multiple Tama, IA professionals' bids and experiences can help you find the one that’s best for you. Ask a lot of questions now, so you won't have unexpected answers later. Find a home design professional on Houzz. Narrow down your search by type of professional and location. Browse Tama, IA portfolio photos, read client reviews and contact each Tama, IA professional for more information. Check out the information in the specialized professional sections too for tips on how to hire the right professional for your project.